There is a great difference between the US-DVD Edition and the old FSK 16 version. With the exception of some minor cuts, both editions at first are identical. The finale however has been completely recut in both versions. Both versions show scenes that are missing in the other one. The German FSK 16 version shows – apart from massive recuts - some minor dialogue and one long dialogue cut, but no censorship due to violence. 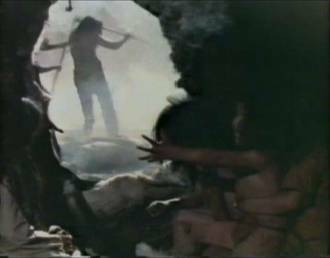 The US DVD (R-Rated) has been surprisingly censored in many instances, mostly because of violence – but also in two offensive shots. Thus the FSK 16 Edition is the rougher one. Additionally: All versions seem to censored. (e.g. : Indian children scalp a hostile Indian). – Here you can only make suggestions: Either the FSK 16 version contains pre-release cuts of the US Edition or the scenes have indeed been edited badly. The FSK 16 tape has been zoomed from 1:2,35 to fullscreen in 4:3 by Pan & Scan. The DVD has 1:2,35 anamorphic widescreen. Recuts have – to keep the overview – been taken into account only to a small degree. Jump cuts have not been taken into account. 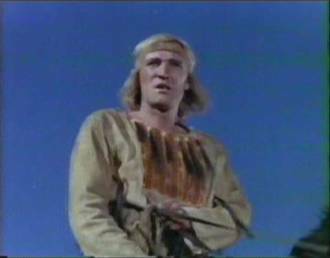 The main actor (Richard Harris) is called Harris instead of using the name of the character he plays. Unimportant cuts are shown in small print. Exemplary a few of them have images and are shown in normal print. Both versions show so much differences in the finale that probably one or two unimportant cuts have been missed. Sorry for that. Since the recuts are so severe the times given are not always necessarily chronologic and only serve as a rough orientation. The listings do not show all cuts, among other those that are in small print and those that are hard to classify. Harris adds more metaphors to his (seemingly from Shakespeare influenced) speech: When they (the Indians) starve, they know that they have to hunt, when they fight their enemies and their arrows pierce their skin, they have to bleed like any other men. The Indians apparently agree with this part of the speech. But then Harris continues: "But it seems to me as if you only lived to hunt your buffalos, to fight the Shoshones and to have your wives ". Hereupon the Indians wildly despise Harris. Strange: During the fast motion that shows parts of Harris´ life among the Indians, one single shot is missing: an Indian mother has her child on her lap and another child arrives. The scene comes after a bird of prey is shown that feeds his child. In exchange in the German Version the bird of prey is a little bit longer onscreen. The three Indian guards who obviously noticed the impending attack of the Shoshones observe the landscape. Strange: only one shot on some trees is missing. Another shot is missing: some Shoshones stab the beaten guards. It seems unlikely that the scene is missing due to censorship. 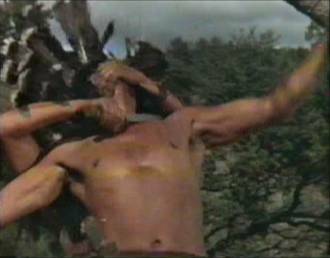 Instead it was probably removed as there is another recut following: In the German Version, the Indian crying like a bird was inserted a little bit later. US Version: in exchange a different shot follows here. From some distance you see one of the attackers stabbing the overwhelmed guard and giving a sign (cry of a bird) after that. Shot missing in the German Version: One of the Shoshone warriors who climb into the gate gives his two fellows a sign – thereupon they crawl up. Another shot of the „good“ Indians who start to get suspicious because of the impending attack is missing in the German version. The chief looks at the mountains and sees that the guards (who have been replaced by the Shoshones) are still on their post. Then he says something calming. However, this scene follows in the USA version too, on a completely different, earlier place (before the last cut). 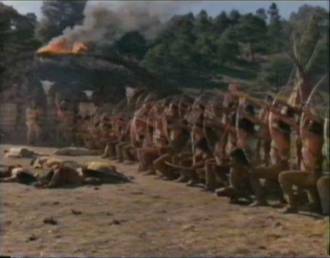 From the point on where the three Shoshone Indians crawl through the gate to the scene where the chief alarms his people, the following scenes are recut so strongly that a comparison is practically impossible. The content in both versions is almost the same, with the exception that the US version gives the impression that the („good“) Indians notice the following attack of the Shoshones a little bit earlier. One of the Shoshones sits amongst the horses. Then he sees the gate, crawls up to it and does something to a horse. In the meantime the alarmed tribe gathers. Cut to the Shoshones amongst the horses: two of them sit on a horse. 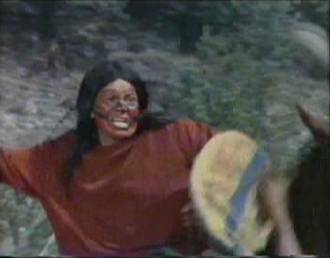 As the horses begin to run through the village, a short shot of a female shouting something is missing. Harris gets his family to safety into the woods. In the following there is a shot of the horses running through the village. This shot is missing in the German version too 3,5 Sec. Alternative shot of the wild horses in both versions. Missing in the US versions: the Shoshones on horses start their attack. From his horse, an Indians jumps on Harris. Missing in the US version: Harris kills the man by stabbing into his ribs. Now you can speculate: cut due to violence? Maybe because of Harris´ bare bottom? Or only a „victim“ of the different editions? If you take into account the cut in the US version at 1.35.53 as well as several (obvious) cuts due to violence – both could have been the reason. Harris´ French friend tries to escape the fighting scene. 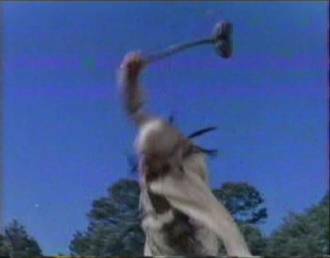 Harris fights with a Shoshone warrior, throws him to the ground and kills him with his club. Note: A little later there is a scene in the US version that looks identical – however, has been zoomed in and is a little shorter. Here you cannot see the Indian getting hit by the club. This makes the impression that the scene is also included in the US version – juts in another place. This however is not the case as the zoomed in version is included in the German version too. The scene described above is definitely missing in the US edition. It ist he same shot, but in one case it is zoomed, in the other it is not. In the German edition, both versions are included (which you probably only notice by comparing). In the US edition, only the less explicit one. Missing in the US version: an Indian falls from his horse. 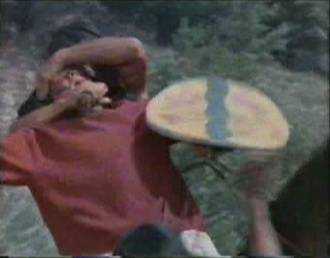 Missing in the US edition: a shot of the fight. .
Once more a scene including more explicit violence is missing: A fighting Indian is gripped from behind, his gorge is cut through. Alternative take of a Indian falling from his horse in both versions. 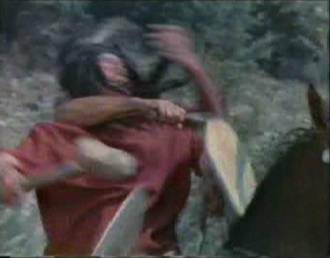 Alternative take on the fighting scene from out of a wigwam. Missing in the US version: an Indian rides through fighting scene and hits an enemy with his hatchet in the face (not very explicit). In exchange in the following the fighting is 20 frames longer in the US version. 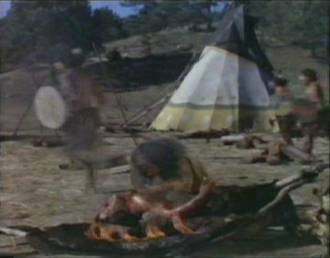 Cut in the US Version: a dead Indian lies on the ground, a dog licks the corpse. 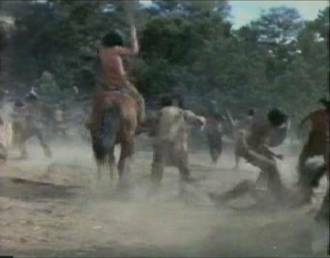 The shot following the previous cut (Indian gets pulled from horse) sets in 4 frames earlier. Alternative take of a fighting Indian. Missing in the German Edition: some fighting. Shorter take in the US Version: An Indian jumps at an enemy and pulls him from his horse. Originally the shot is longer: You can also see how both fall on the ground and the jumper almost stabs the horseman. But then another Indian arrives and pulls him away. Included in the US version again is how he gets killed. After Harris has killed an enemy with his bow, he sits on a horse while being observed by the chief of the Shoshones. 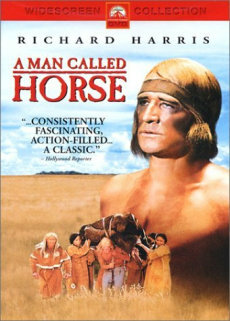 Missing in the German version: after the shot on the chief, Harris places himself correctly in the saddle. Also missing: the following shots on an allied Indian and on Harris´ French Friend. 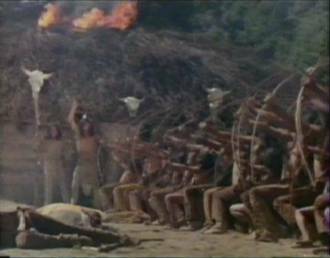 Some running Indians who are told to equip with bow and arrow (to defend themselves from the Shoshones) are missing in the German version. 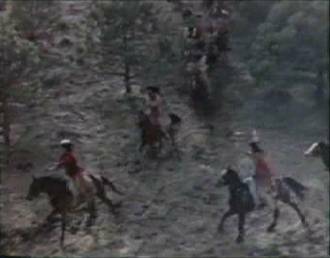 Additional shot in the US edition: The Shoshones ride towards the archers. Also missing is the following shot on Harris´ French Friend. Alternative take of the archers shooting the first time. Alternative take of Harris: In the German edition he is looking seriously, in the US version he is cheering.. The escaping Shoshones pass by old woman who is crying over her bleeding son. The she raises her hands to pray. 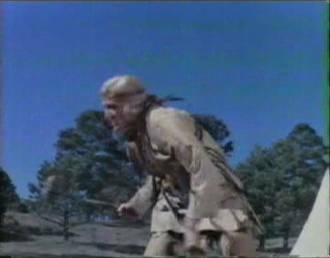 Harris rolls over the ground with the Shoshone chief – fighting. In the US version, the last 9 frames (=0,36 sec.) were removed – in this shot he raises his bottom and we can see his trousers stretching (similar to a G-String). Obviously, this sight was too explicit for the US audience at that time. In the German version, the new Indian chief – who just shouted something at Harris as farewell – rides away longer. In the German Edition, Harris and Indians (with whom he obviously rides in to war) ride a little bit longer through the picture before Harris stands at the grave of his wife. In exchange missing in the German version here: another shot of Harris riding through the graves.